Since 1997 Climb On has been sharing and teaching the sport of rock climbing. This 35º wall has problems ranging from V0-V7, and is well lit for night climbing! This family-owned gym is a place where passion for adventure is fueled and life-long friendships are formed. We can accommodate groups of 5 to 35! Birthday parties and more ROCK when they're at Climb On! Climbing is a great workout, and an even better stress reliever. 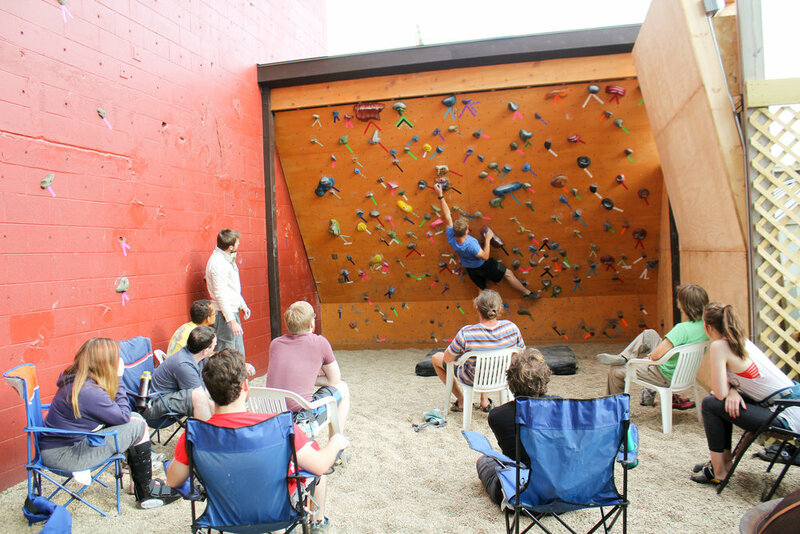 Located in Chicago's south suburbs, near interstates 80, 94, and 294, and just a block away from the Metra Electric, Climb On of Homewood is Chicagoland's original climbing gym. Our indoor rock climbing gym has more to offer than just a training facility. It is a place where old friends meet and new friends are made. This family owned business provides a relaxed yet challenging climbing environment with a welcoming staff and member base. The wall is an Eldorado climbing wall construction which has the texture of real rock. There are also permanent features incorporated into the wall. Approximately 40% of the gym is overhanging and most of it is leadable. We also have areas that are easy enough for a four year old. In other words, we have enough variety to challenge everyone. New to climbing? New to Climb On? We can show you the ropes. Find out what we have to offer. Want to climb regularly? Climb On has several flexible options to meet your needs!